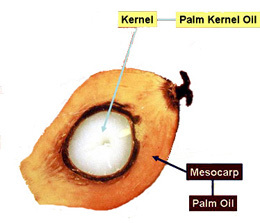 There are several palm kernel oil production machineries which are used to extract oil from palm kernels. 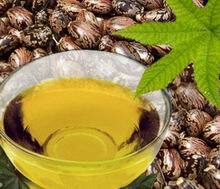 KMEC is an expert in the palm kernel oil production machinery. With years of experience in the design, export and installation of numerous oil production machinery across the world. Mechanical extraction processes are suitable for both small- and large- capacity plants. The three basic steps in palm kernel oil processing plant: they are palm kernel pretreatment, palm kernel pressing, and palm kernel oil refinery. In the palm kernel oil processing plant, first of all, palm kernels should be well pretreated in order to extract the oil efficiently. The feed kernels must be cleaned from other impurities that may cause damage to the oil production machinery. The magnetic separators commonly are installed to remove metal debris, while vibrating screens are used to sieve sand, stones or other undesirable materials. A swinging hammer grinder, breaker rolls or a combination of both then breaks the kernels into small fragments. The kernel fragments subsequently are subjected to flake in a roller mill. The kernel flakes are then conveyed to a stack cooker for steam conditioning, the flakes that leave the bottom nip are from 0.25 to 0.4mm thick. In the palm kernel oil processing plant, the meals are normally cooked to a moisture content of 3 percent at 104-110°C. Contact us in the following form to get more info as long as you are interested in our palm kernel oil production machinery. We are always at your service.